“What goes around comes back around” the old saying goes, and it has been proven true, at least when it comes to fashion. Not all past fashion trends are dreadful, and designers can easily see opportunities and find inspiration in the previous era. Furthermore, inspiration and new ideas can be found in other parts of the world too – looking through foreign, exotic trends and trying to give them new life in modern times can be challenging, but when done right, it can also be rewarding. Hello Lovelies – Here comes the list of 5 amazing fashion trends from around the world. Japan – Kimono Classic Japanese dress was always considered mysterious and feminine, but not quite practical. Luckily, trends are changing, and philosophy of style and convenience took over tradition and transformed it into something new and appealing. Obi belts can be seen everywhere, on dresses and jackets alike, and this summer it is all about wearing something light but lovely on your shoulders. Simple and light, piece of cloth with wide sleeves that can be decorated with lace and fringes alike can be worn with practically anything, especially since it comes in many different lengths and designs. India – Saree Tradition has its appeal. Mesmerizing and astonishingly beautiful ethnic Indian wear has captured attention of women worldwide. If you are lucky enough to get your hands on a genuine saree, you can do wonders with it and change your style completely. Wear traditional Indian saree freely, but don’t feel like you have to follow tradition if you don’t want to; add a touch of modern to your outfit and wear it draped around your body like a glamorous gown. Emphasize your feminine curves with this nine yard long ‘cloth’, add a crop top, belt, and a blazer to create something you will love to wear. France – Beret Remember that unattainable Parisian chic look we all admire on movies and runways? Well, you can create your own in no time! Beret has always been seen as something exclusively French, but the trend is so adorable and chic that it comes a surprise it has not taken the world just yet. Regardless of your shape and height, beret will look perfect on you, and you will have no problem pairing it up with the rest of your outfit. Oversized sweaters, cocktail dresses, and trench coats – everything will look great when aired up with a beret. Sweden – Clogs Boring Swedish slip on which nurses all over the world wear to work is back, and it’s all-new and breathtakingly stylish. This is where the lines of a mule meet humble spa sandal and create a little miracle: the clog. It makes your legs look longer while it can still protect your toes, and allows you to move freely. Not to mention that clogs are incredibly comfortable and stylish to die for. It doesn’t matter if you’re wearing knee-length skirts, cropped jeans, or office pants – clogs are your friends. Chile – Poncho In Chile, poncho is called chamanto, and when it first showed up it was heavily fringed and had high neck – definitely not something you would choose to wear. Luckily, thanks to innovative designers who saw all the potential of this great piece, it has had a tremendous makeover and became soft, cape-like piece we know today. Luxurious fabrics and rich colours make this cape-slash-blanket easy to wear and pair up with the rest of your clothes. Show off your legs while covering up your upper part, or pair it up with skinny jeans and high heels – formal or casual occasion, it doesn’t matter, this lovely Chilean invention is going to make you look like a model. Don’t be afraid to look for inspiration in unusual places, every single part of the world has its own rich and colourful history, tradition, and fashion, and it can easily lead you to create something similar, but still your very own. 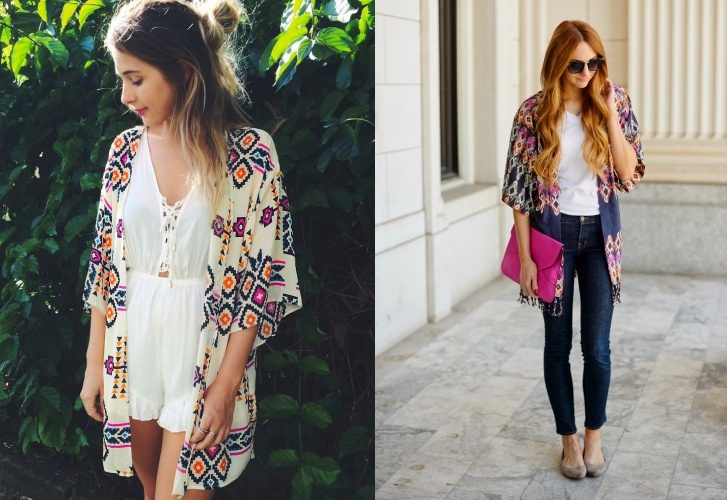 a kimono and a saree are my favorite amongst these trends…. I am excited about fall trends! I love this post, and the influences of around the world! Due to some family traditions (part of the family) I wear ponchos since I was a little girl (but from other countries), and I love clogs and sarees! I have some sarees, but unfortunately, if I wear one like I love them, wrapped around the body with the long part to be worn over the shoulder… people would look at me, so I am waiting to go back to a certain place, where I can wear it freely! I simply love sarees! Ah, and kimonos too! I am glad that you Denise like this and love wearing all these fashion items! Love the saree, always wearing it and loving it. Can’t wait to wear beret’s this fall/winter. 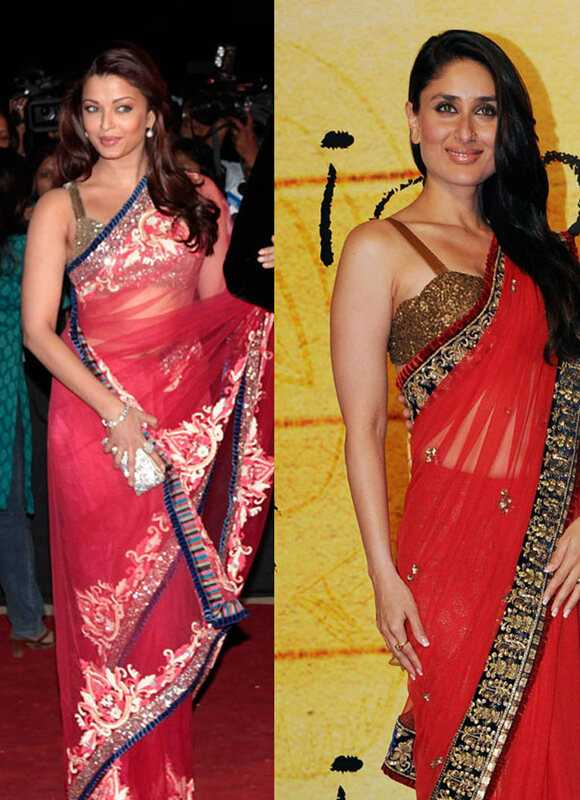 Saree is one of the best fashion trends of all in India. Check out the Best Collection of Indian Designer Sarees Online only on YOYO Fashion.